Michaela Bradshaw is one of the returning castaways to get another chance at winning $1 million on Survivor: Game Changers this spring. 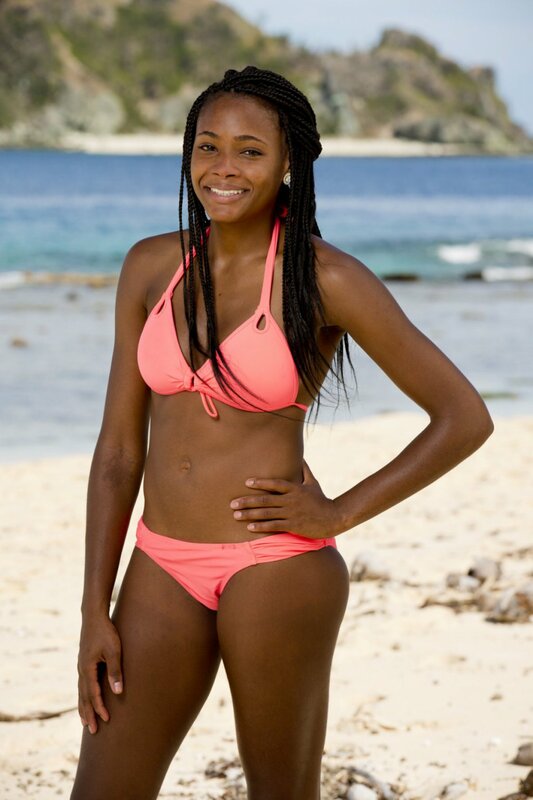 Michaela, a 25-year-old from Fort Worth, TX, worked in vacation club sales and was also a part-time tutor when she first appeared on Survivor last season. Michaela will be competing on the "Mana" Tribe with Aubry Bracco, Sandra Diaz-Twine, Ciera Eastin, Malcolm Freberg, Hali Ford, Caleb Reynolds, Troy "Troyzan" Robertson, Jeff Varner and Tony Vlachos. - Michaela previously played on Season 33, Survivor: Millennials vs. Gen X, in 2016 and was the seventh castaway voted out of the game on Night 20. Instead of taking advantage of an easy vote, her buddy Justin "Jay" Starrett convinced an alliance of their fellow millennials to turn on Michaela so she wouldn't be a strategic or physical threat to them come the merge. - For most of her childhood, she was raised by her godparents who were in their 60s when she was born. As a result, Michaela acts a little older than she is. - Michaela had one of the most hilarious reactions to being voted out of the game ever. She was blindsided, disappointed and angry as hell, telling her friends that they "f-cked up" and Jay was going to feel like an "assh-le" for ruining something good. - The aggressive player is best remembered for fearlessly ripping her bikini top off in the ocean during a challenge in order to escape defensive players and score a point for her team. - Michaela, who says she embraces a woman's "inner beast," told Reality TV World after her first season that if she had made the Final 4, she didn't think anyone could win the million dollars over her.